Do you need tight delivery times for the manufacture of your parts ? ActuaPlast is your reliable partner and your project is in the best of hands ! ActuaPlast guarantees you tight delivery times for the manufacture of your plastic and metal parts ! We gladly assist you in the manufacture of all your plastic and metal parts from prototyping to production. ActuaPlast, your reliable partner since 2001 ! 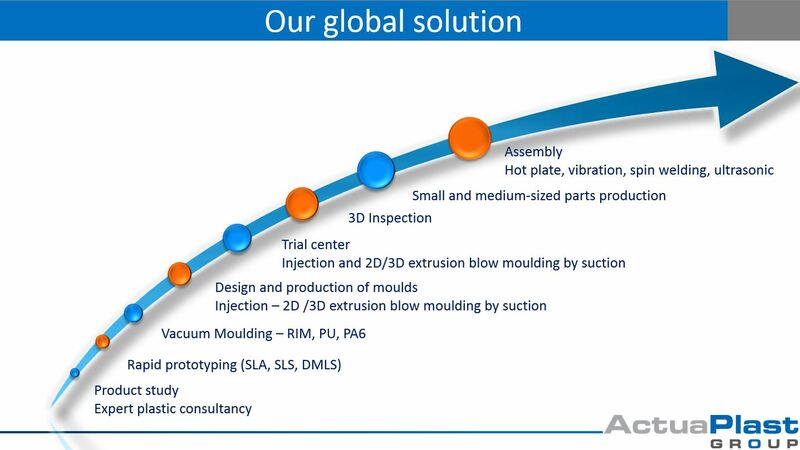 Let us put our know-how and expertise at your service to guide you during the engineering or designing phases of your parts from prototyping to full production of the final part. ActuaPlast : 2D und 3D Saugblasen Ein gutes neues Jahr 2019 !